Only 8% of engineering apprentices are female, continuing a trend that dominates the industry. Engineering is rewarding, well-paid and shapes the world around us. The gender gap in its workforce means that not only are women missing out on promising careers, but also that there isn’t enough female talent at the forefront of an industry that builds our cities, develops our technology and solves challenges in everything from healthcare to the environment. But against this backdrop, a number of employers are fighting to reverse the trend, showing how a commitment to engaging with girls and young women can help them realise their potential in and industry that needs their skills. 2018 is the Year of Engineering – a government-led campaign that’s bringing together more than 1,000 partners to inspire the next generation of engineers. 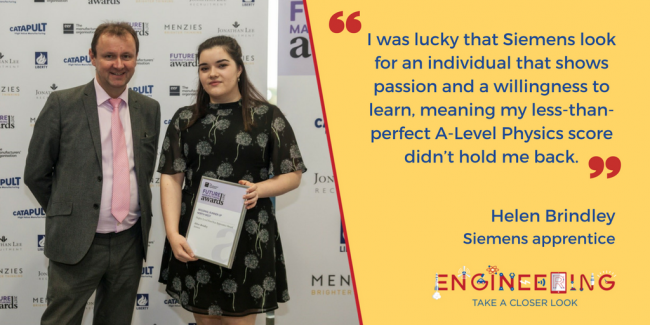 Here’s how three Year of Engineering partners – EDF Energy, Siemens and the RAF – are challenging the status quo and leading the way in recruiting more female engineering apprentices. 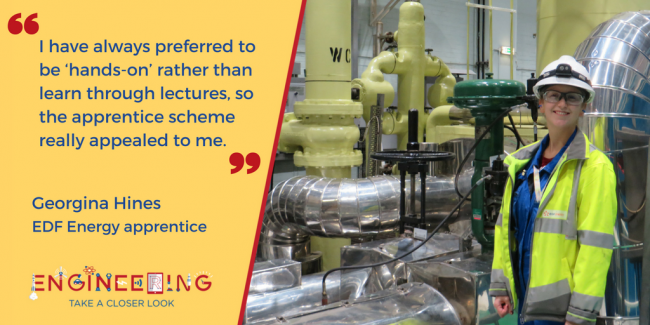 Last year EDF Energy saw a 14% boost to their female engineering apprenticeship intake – 35% of those who joined the scheme were women, way above the industry average. The company runs female-only workshops at special events throughout the UK and opens its visitor centres for engagement events also aimed directly at women. Through its Pretty Curious programme, they joined forces with Star Wars: The Last Jedi to inspire more girls to think about where a career in Science, Technology, Engineering and Maths (STEM) could take them. Siemens has set a target for 20% female apprentices by 2020. Activities include running the SeeWomen careers roadshow, activities in schools, targeted recruitment focused on areas of its business with the lowest female representation, and raising the profile of its female apprentices. Addressing a lack of diversity in the sector has been a longstanding commitment for the RAF, which is backing the Year of Engineering as part of its centenary celebrations this summer. Megan has always had a love of aircraft, ever since childhood trips to the Imperial War Museum in Duxford. 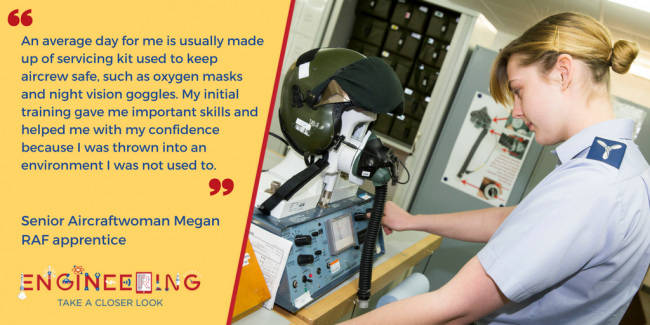 Joining the RAF after school, she did specialised training in survival equipment and now works on maintaining essential kit which keeps pilots safe when flying and in the case of accidents. As part of her role, she services everything from oxygen masks and helmets to night-vision goggles and life preservers. Her work has also given her the chance to travel to Norway and the United States.